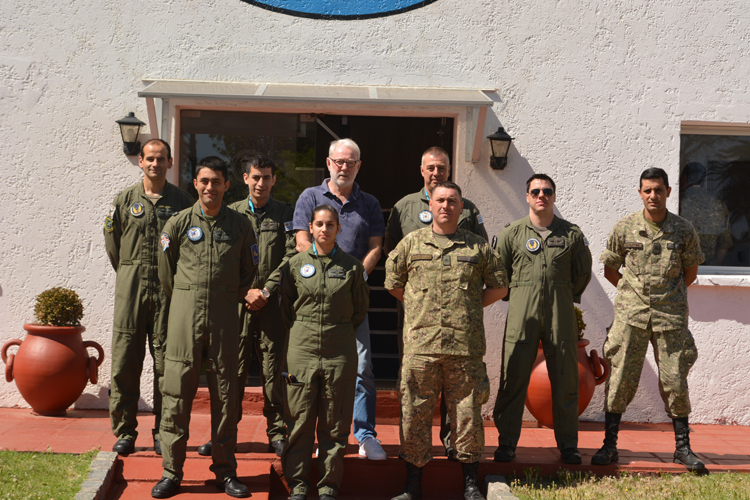 Last week ST Airborne System held three training courses for personnel of the Uruguayan Airforce (FAU). One of them was a continuation of the CONOPS (Concept of Operation) training held earlier. The purpose of the training is to compile an Operations Handbook. The course was led by a former Swedish Coast Guard Officer with in-depth knowledge of maritime surveillance operations and he has also flown the very same CASAs that the FAU now operates. 🙂 Enthusiasm and hard work by everyone resulted in good progress! Simultaneously training was held for ground personnel in maintenance procedures and currently, the operators are receiving one week of extensive training. More info about this to follow.